The HTC One M8s is the same as the predecessor but with a new camera, updated 64-bit-8-core processor, a larger battery and Android Lollipop. It's cheaper too!... It's a superb product, with fabulous looks, and all the internals necessary to make good on it's promise to be an Android superphone. The HTC One M8 remains a fantastic slab of tech, and arguably the best Android phone we've seen so far this year - but it also serves to remind us just how good last year's One was too. [The One M8s] is exceptional value. It's the HTC One M8 with some cheaper parts, but is a decent mid-range mobile. The HTC One M8s delivers some welcome improvements, including a better camera, upgraded processor and a bigger battery. 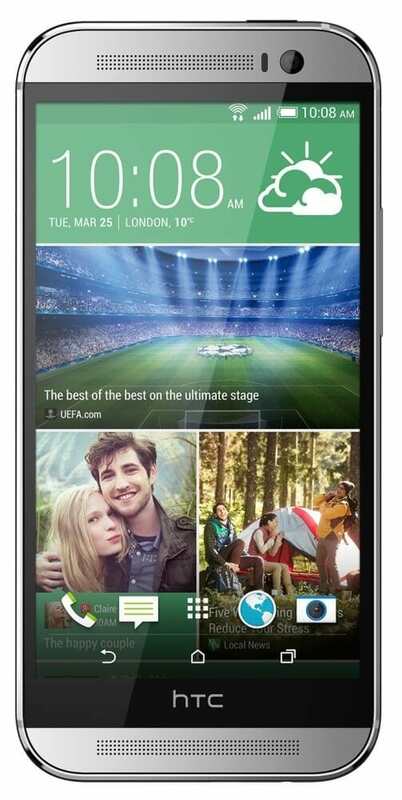 At first glance, the HTC One M8s looks like a phone twice the price, with a vibrant screen and good hardware. However, the more you use it, the more you realize the only thing premium about it is its shiny shell. With last year's specs, a disappointing camera and an all-too-familiar design, the HTC One M8s is neither new nor exciting, but it's a decent phone for the price. Every day, we search through thousands of tariffs and offers from UK online retailers to find the best HTC One M8s deals and contracts across a selection of price points and needs. Select 'Pay Monthly' if you're looking to get the HTC One M8s as part of a monthly contract with minutes, data and texts. Alternatively, choose 'No Contract' if you prefer to buy the HTC One M8s SIM Free or on Pay as You Go. Finding the perfect deal is easy. Just use the sliders to filter tariffs for minutes, data, monthly cost and upfront cost. You can also filter by network and retailer to find the best HTC One M8s deal for you! The cheapest contract price in this category is cheaper than buying the HTC One M8s SIM Free and a comparable SIM Only tariff by . You could save on the cheapest contract price in this category by buying the HTC One M8s SIM Free and a comparable SIM Only tariff separately.